Vacations. . . Who doesn’t love them? Whether you have a stay-cation and relax locally, drive to your favorite destination, or hop on a plane to travel domestically or abroad, taking time off is something many of us look forward to. Regardless of the type of work you do, more is not better when it comes to productivity. Did you know research has shown we’re actually not that efficient when we work over 50 hours a week? Working over 55 hours doesn’t necessarily mean you get more done. Instead, quality of work declines. This isn’t good for anyone, but especially freelancers who are on contracts that we want to have renewed. Just because we can take on a lot of work doesn’t always mean we should. Even if you don’t work more than 50 hours a week, you also need to look at how many days you’re working during the year. Project: Time Off researches vacations and the impact on the workplace. In 2017, though the sample size was small, their research showed that after a 15-year decline in employees taking paid vacations, that the trend is turning in the opposite direction; Americans are finally taking more vacations. You might know that taking a vacation is a great idea, but, as a freelance writer, vacations can feel like a challenge to make happen. If you’ve previously worked in the corporate world or more traditional work-force, you might be familiar with things like paid time off (PTO) or even closures at the holidays. This financial support, or forced time off, doesn’t generally exist for freelance writers. And, for freelancers who are just starting out, or who are working part-time, it may be even more of a challenge to take time off due to financial or other work constraints. Why is vacation hard as a freelancer? One perk of being a freelancer is that you can often work remotely, making travel easier. This lifestyle is often very appealing. Being able to take your work with you is great, but what about a vacation from work? Isn’t it nice to put work-related responsibilities aside for a while and relax? Though it might seem like a challenge for freelance writers to take vacations, it’s important, and there are many benefits including reducing stress and improving your mental health. And, if you don’t take breaks such as vacations, you risk facing burnout. Taking a vacation may seem like a challenge but with planning and preparation, it can happen. If you’re someone who likes to be spontaneous with vacation plans, this may be a bit harder now that you have ongoing deadlines to consider. Instead, plan your vacation well ahead of time so that you can get organized and ahead on your work, allowing you to take time off. My best tip is to plan ahead as much as you possibly can. When I know I have a vacation coming up, I’ll make time a couple of weeks prior to my departure to jot down a daily checklist of what would normally need to get done during that vacation. What would I typically be accomplishing that Monday? Tuesday? So on and so forth. Once I have that list created, I’ll fold that work into the next few weeks—so, ideally, it’s all taken care of by the time my vacation arrives. It often means working some longer days (and even some weekends!) leading up to my time off. But, it’s well worth it to be able to take a stress-free break. Plus, after all of those added hours, I’m extra ready for a vacation. Even though Kat may be working longer hours, risking being less productive, she’s only doing this for a short period of time. She’s then able to fully take a break on her vacation. If you’re not tied to your desk, you may have the ability to travel when you want. While planning ahead is important, you can also consider traveling at off-peak times to your destination, which can save you money and likely means your vacation spot will be less crowded. If you also have a traditional job or are a parent with school-age children, this will influence when you can travel, but if your location and timing are flexible, consider vacationing when other people are less likely to. If you’re a part-time freelancer, you may be fortunate enough to have some PTO available through another job. But, for the full-time freelancers, if we don’t work, we don’t get paid. This can make a vacation seem like a bad idea, but a vacation is worth the potential break in your paycheck. You can plan ahead not only by completing your assignments but also by thinking about how you manage your money and coming up with a savings plan for your vacation. You may also want to consider pitching stories based on your travel or vacation plans, as this can be a great way to have a monetary payoff from your vacation. Be aware that this shifts the focus of vacation to work, and while this may not be a bad decision, consider if this choice is worth it. As freelance writers, we work with many bosses (the editors we report to). In a traditional job, there’s usually a process in place for taking a vacation (such as requesting time off from your superior or through HR). When it comes to freelancing, you may not feel like you have to tell anyone about your plans. While that may be true, as your editor doesn’t necessarily know (or care) where you are as long as you turn your work in, it’s usually a good idea to loop your editors in that you’re taking time off. Communication is key. If you’re turning in something early, make it clear which assignment it is and when it was due. Don’t assume your editor knows. I once turned in something prior to vacation that the editor posted online immediately, even though it wasn’t scheduled for another few weeks. Then she needed content for when that was scheduled. The work I did in advance didn’t help. It’s always wise to let an editor know you’ll be gone if you have anything pending with them. You never know when they’ll reach out with a question. Even a quick “I’ll be checking email just once a day” heads-up can help – then they’re not awaiting your quick response. When you take the time to work ahead so that you can vacation work-free, there’s very little worse than realizing you still have work to do. Communication about plans, deadlines, and access to email are all important when you’re a freelancer taking a vacation. The beauty of freelance work is that we can take our work with us. However, it can get in the way of the fun. If you’re unable to complete work ahead of time, decide when, and for how long you’ll focus on work. For example, maybe you get up an hour early each morning, or you have lunch alone so that you can focus on work. 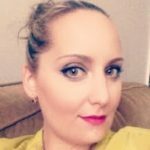 Many of us have had the experience of an article taking more time than expected. And when it comes to vacation, the fun can take up more time too! We agreed as a family when I would work and planned fun stuff in the non-working time. [However], I underestimated how long certain things would take, and we underestimated how much time we would spend doing fun things. It helped to have a list of MUST DO, Would Be Nice To Do, and Don’t Even Bother It Just Ain’t Happening. While it might be nice to focus only on the vacation, that may not be realistic for you. Don’t shy away from the idea of a vacation, but instead, come up with a plan for how you can complete your assignments. Maybe you spend the first full day by the pool, completing your most critical assignments, and then you can enjoy the rest of your trip, working hard to catch up when you return. 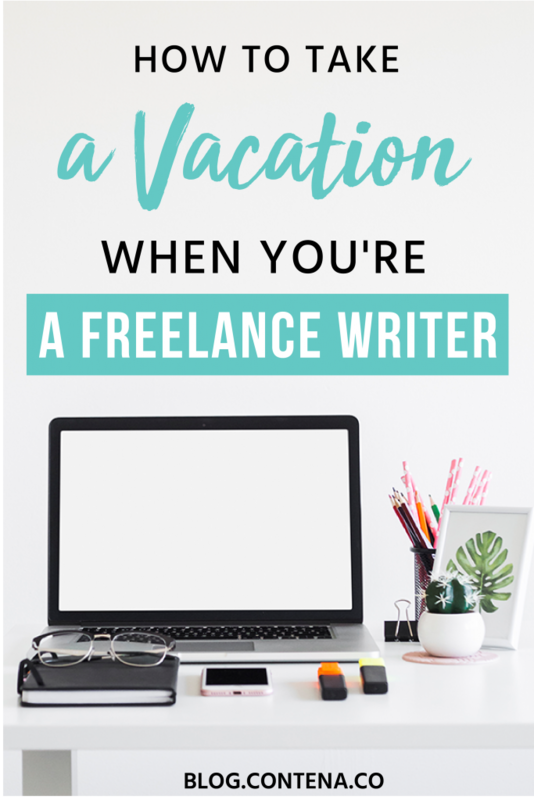 Though figuring out the logistics of a vacation as a freelance writer may seem like a challenge, try to put those aside and take advantage of the mental break that a vacation typically allows. You may find that you feel inspired and more creative after you return from your trip. Keep in mind that a vacation can simply be a night away; you don’t have to start with a 10-day trip to Europe (though doesn’t that sound amazing!). For freelancers, when we’re typically paid per project or assignment, we may feel compelled to take on as much work as we can. We might work possibly long hours and weekends and end up avoiding vacations. Instead, look at the benefits of our line of work and work those to your advantage in order to take a vacation you can enjoy.